Discussion in 'Android Applications' started by sheva22, Oct 19, 2018. CHOOSE YOUR BIRD. Choose which bird to put in the slingshot and defeat the pigs with strategy! MULTI-STAGE LEVELS. Play fun, challenging levels with multiple stages – just watch out for those Boss Pigs! DAILY CHALLENGES. Have a minute? Complete a daily challenge and earn some quick rewards. LEVEL UP your birds with feathers and up their scoring power. Build the ultimate flock! JOIN A CLAN to take down the pigs with friends and players around the world. IMPRESS THE MIGHTY EAGLE in Mighty Eagle’s Bootcamp and earn coins to use in his exclusive shop. COMPETE in the ARENA. 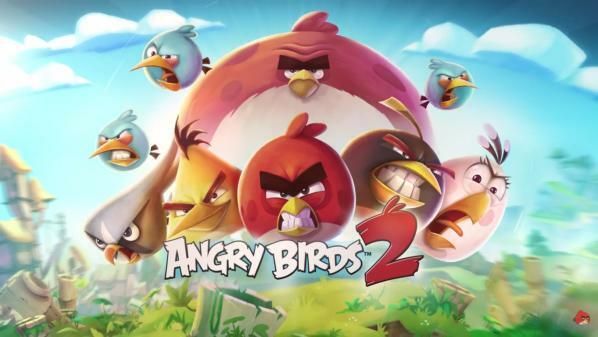 Compete with other players for some friendly bird flinging fun and prove who is the best. COLLECT SILLY HATS. Collect hats with different fun themes and level up your birds’ fashion game. ? BAD PIGGIES. The green baddies are back, stronger, badder, and even greener. LOTS OF LEVELS. Play hundreds of levels with more added in regular updates and limited time events. LEADERBOARDS. Prove who is the best in the world on the global leaderboards. Copy file OBB /SDCARD/Android/obb/ and play.